However, according to AIIM, nearly 50 percent of all ECM programs fail and of the 50 percent that succeed, half of those fail to really provide value to the business. As Alfresco partner and system integrator, we have been collecting feedback and reviews from Alfresco Enterprise customers, over the past 10 years. If your organization is running Alfresco for a while, you may recognize one or more of these needs and by reading this article you will discover how to scale Alfresco with Alfred. Alfred is "managed services as a product", that combines software interfaces for API and GUI with monitoring and expert assistance, to guarantee performance, availability and full tracing of all incoming out outgoing traffic (internet, document streams) into the Alfresco Digital Platform. 1. GRAPHICAL USER INTERFACES (GUI): The user experience is paramount in the choice and adoption of Alfresco and any Content Service Platform. Alfred includes two user interfaces for Alfresco, for desktop or web users and the integration with other applications. 2. OPEN SET OF APIs (Integration layer): We deliver backwards compatibility (Alfresco 4.X, 5.X, 6.X), integration with Alfresco's API and controlled versioning. 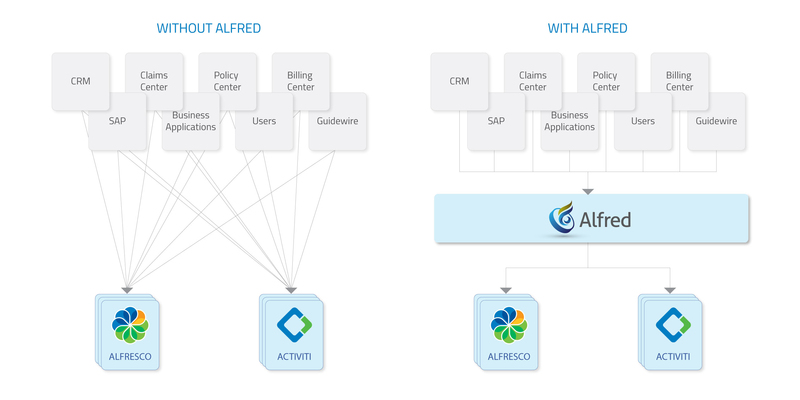 Alfred architecture decouples Alfresco upgrades from business API evolution and versioning. The gateway creates protected channels for internet users. 3. MONITORING SYSTEM: Alfred Ops delivers system and application monitoring to run and optimize Alfresco enterprise installations. It applies a strategy of logging, metrics and tracing to support high availability, performance and security. 4. MULTI MILLION STORAGE: Alfred integrates a connector between Alfresco and SWARM object storage, to store documents and secure your content with multi-data center DRP (Disaster Recovery Plan). We will support S3 protocol by Q3 2019, so customers can choose between on- premise and hybrid cloud solutions. 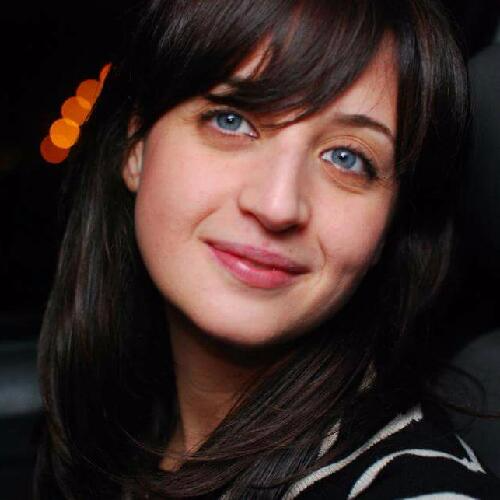 How can organizations benefit from Alfred? Alfred "as-an-architecture" decouples your content services architecture by introducing a single point of access to Alfresco, isolating upgrades from applications evolution, supporting the principle of semantic versioning. Through our platform Alfred, you will enjoy 99.9 % availability in cluster architectures. By decoupling Alfresco from its input and output streams, Alfred ensures that Alfresco is never out of resources. Alfred provides extensive and pro-active monitoring, we detect patterns in usage to increase predictive maintenance and up-time. The right information at the right moment to the right people. We package best practices in document model and automation to enforce governance in Alfresco. Alfred includes a single point to manage policies, for internet versus intranet usage, protecting business data and privacy (audit trails, authentication, file encryption, metadata driven automatic permissions…). Alfred API bundles a meta-data based access control module, simplifying additional security needs, complying with GDPR and internal governance. Alfred helps you improve your performance by boosting interactions with your Alfresco Content Services. The solution optimizes large and frequent document migration in a controlled and secure way and delivering high-performance query results, improving Alfresco stability and increasing productivity. Simple and innovative interfaces (desktop and web applications), with advanced search capabilities and integrations with Google Drive, Guidewire, SAP and companies business applications. Customers can choose Alfresco Digital Workplace for generic use cases, and leverage our Alfred Finder for advanced search queries. Alfred is a managed service, and it comes with software components to regulate incoming and out-flowing documents into Alfresco. Our Gateway, Alfred Edge, and its module Alfred Inflow, inject documents at high speed, but apply smart techniques to ensure "quality of service" at the same time. Flexible service level agreements with full support and maintenance and long term monitoring and auditing to lower down companies total costs of ownership (TCO). Nowadays, secure storage, rigorous access control and privacy protection are no longer optional. Alfred creates a smooth path to compliance, with a well-tuned document model and out-of the box features to protect your digital assets. Alfresco, the Digital Business Platform, is revolutionizing the way how businesses manage information and processes. Our mission is to empower Alfresco users, by providing them with the right products and services, developed to solve challenges and unlock the real power of the platform. Want to explore our flexible plans? Make an appointment with one of our experts and we will happy to assist you.